Feel like you never get enough time for anything in the morning? Some tips on waking up early, so you can finish crucial tasks with time to spare and give your day a good start. Late to work again? Instead of blaming it on your 'bad day', try to analyse the situation at hand. Did you give yourself an arbitrary time span (40 minutes or so - bleh!) to complete your morning chores, instead of looking at the actual hours it would take to do it? Things will start looking up immediately after you finally organise your morning schedule. If you wake up late every morning because you have trouble falling asleep the previous night, plan your dinner and snacks around foods that contribute to a good night's sleep -- including bananas, honey, potatoes and almonds. Also, eat light at night and save the big meals for the more sprightly morning. 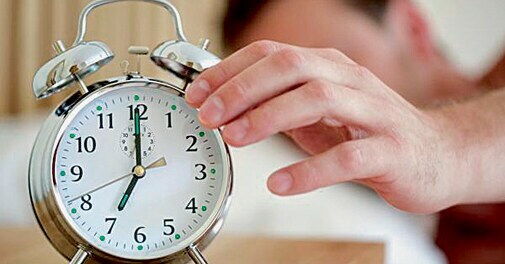 Stop depending on caffeine to wake you up in the morning; such a habit could prove harmful in the long run. Instead, try other methods like filling the room with light, challenging yourself to ignore the snooze button, and reminding yourself of the tasks that await you through the day. You may have noticed that when you are woken up by a loud noise, you end up getting shocked into complete alertness. You could probably schedule your music system or television to turn itself on automatically at a particular hour. The higher the volume, the better - just make sure it does not end up rupturing your eardrums or annoying the old lady next door.